The Celine Dion win seems especially egregious. 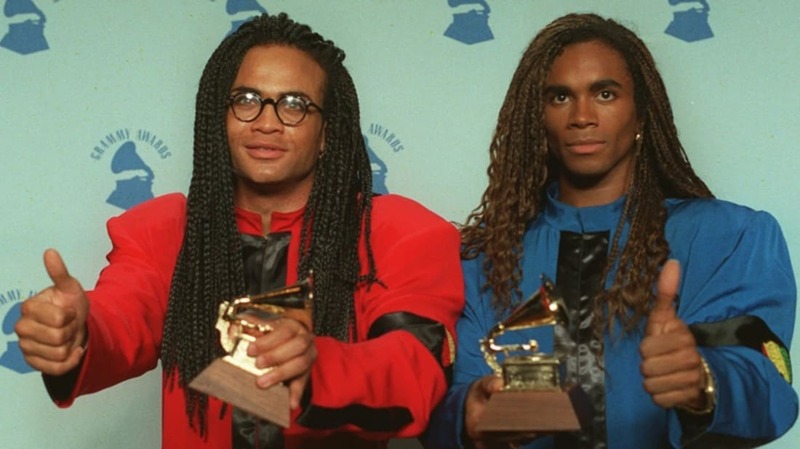 The article largely ignores Milli Vanilli, but it's still fun to see a picture of them holding those and wonder what was going on in their minds at the time. You don’t need to know what led up to the payoffs in these GIFs in order to enjoy the beauty of the prank. One of them is a chocolate covered onion. Seriously? What weird and far-off land gave birth to this odd edible? Philadelphia. I bet you think a T. Rex stood upright. The Week has an interesting list of celebrities who have accidentally shot themselves. With Pope Benedict XVI stepping down, everyone's wondering who will succeed him. Here are 8 people who could be the next pope. Pope John Paul II was nearly killed by a would-be assassin's bullets back in 1981. Check out what he did with one of the bullets that nearly ended his life. Plus, the Pope’s home, Vatican City, is the world’s tiniest sovereign state. But it’s packed with plenty of secrets.